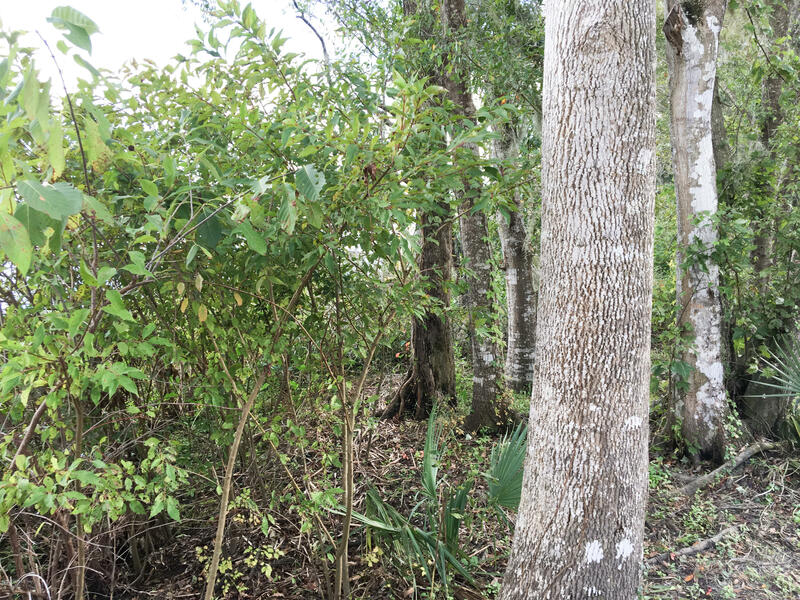 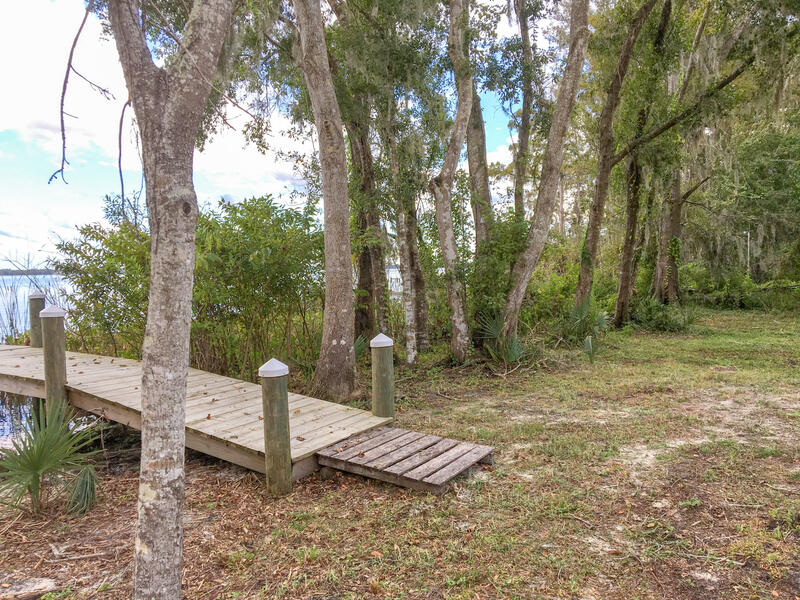 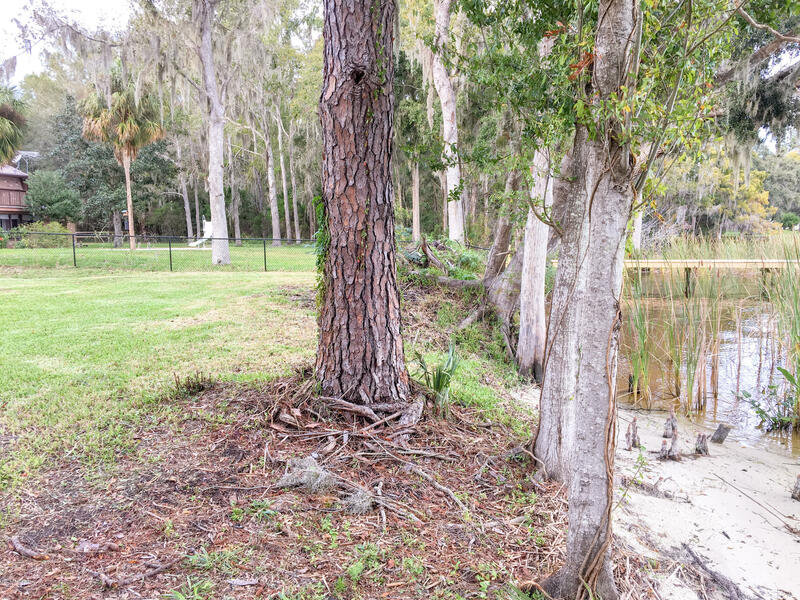 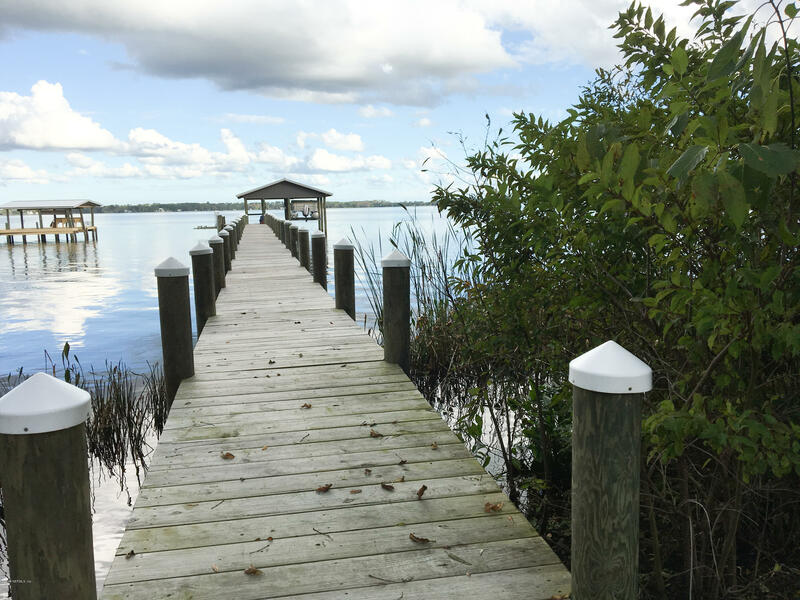 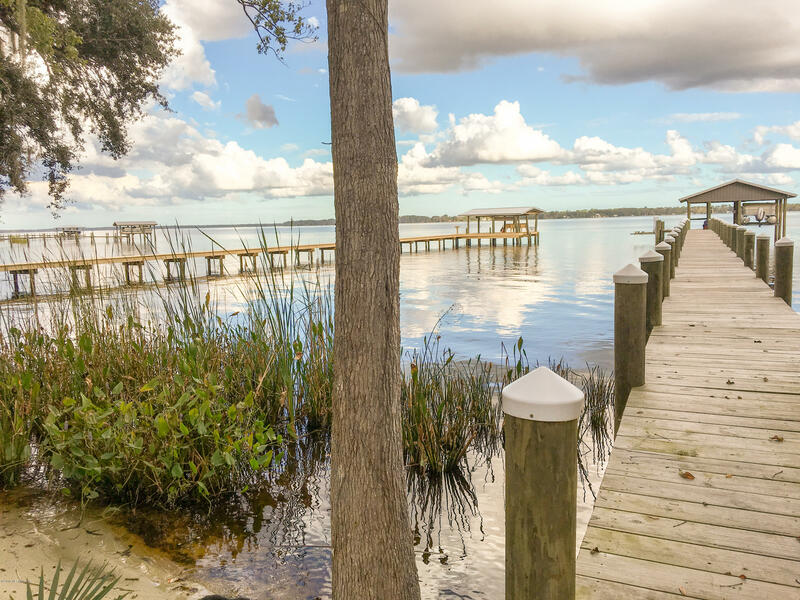 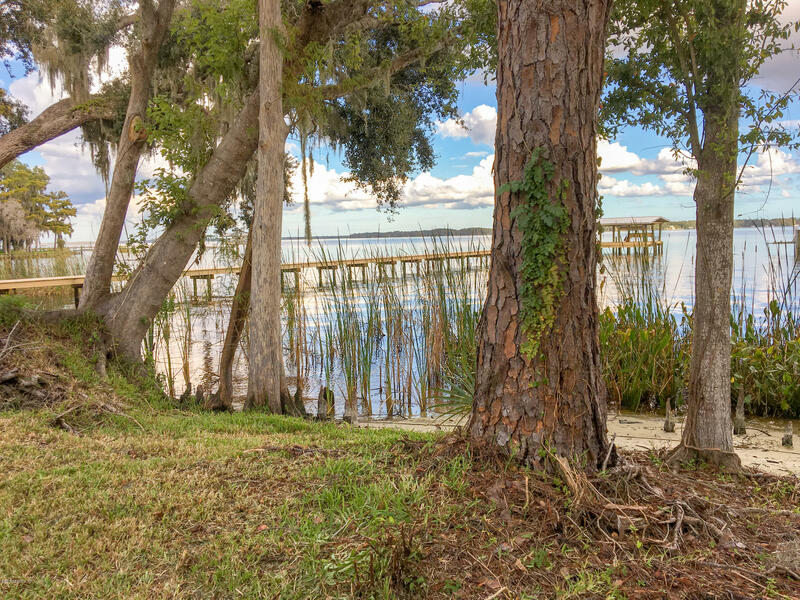 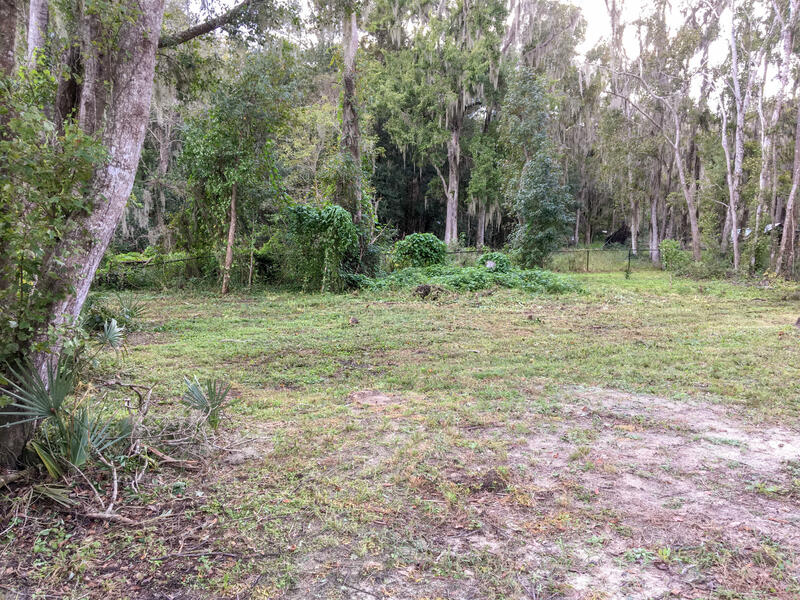 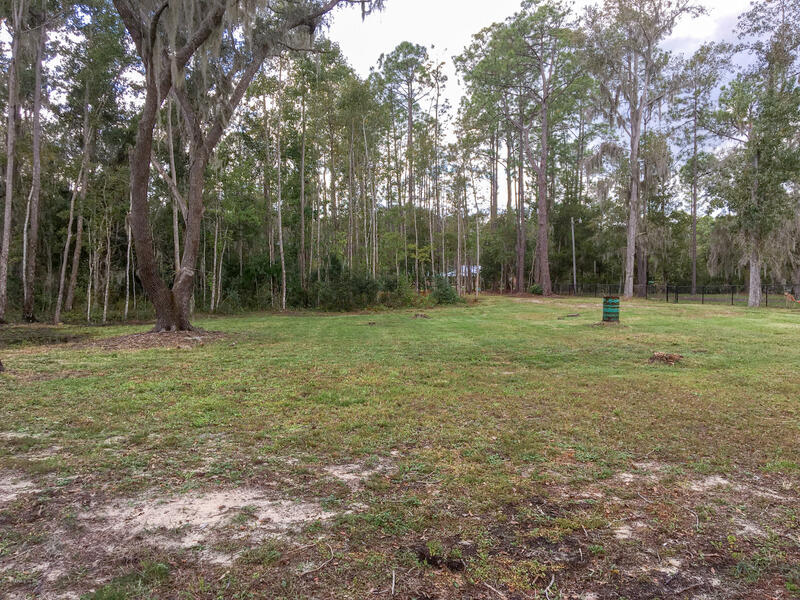 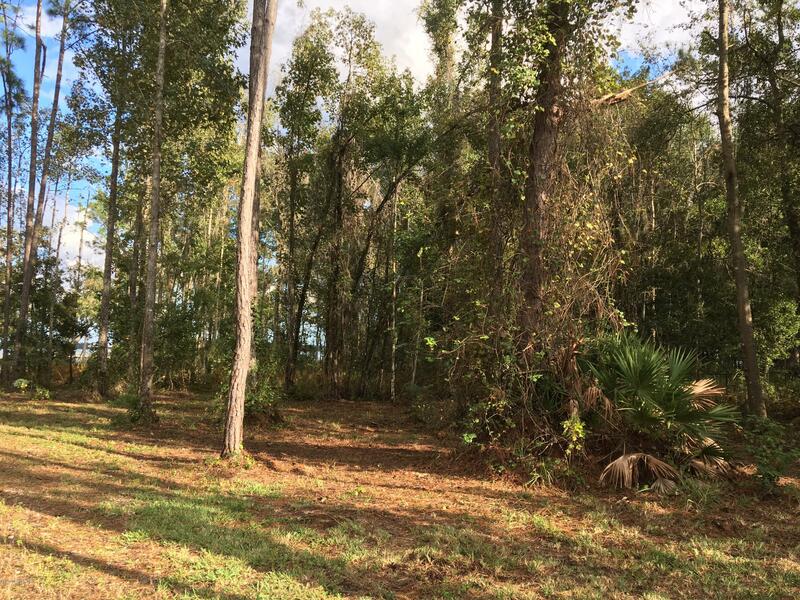 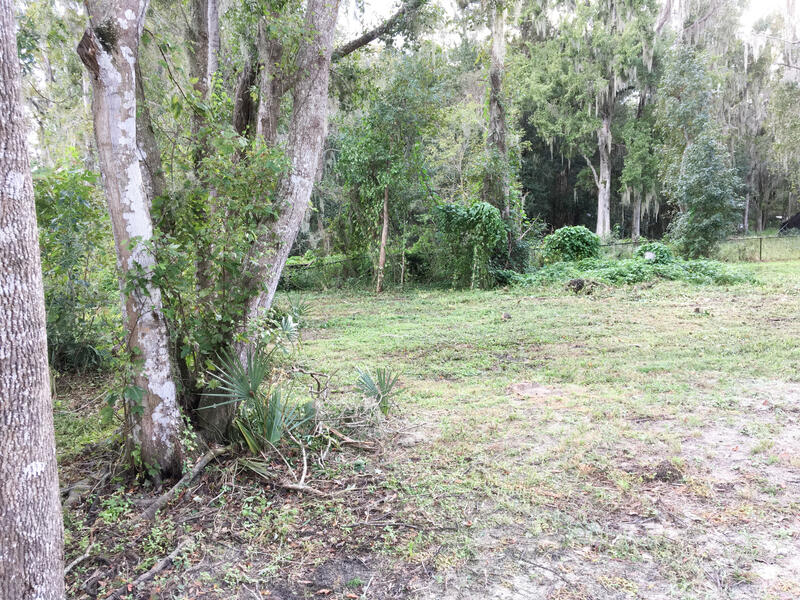 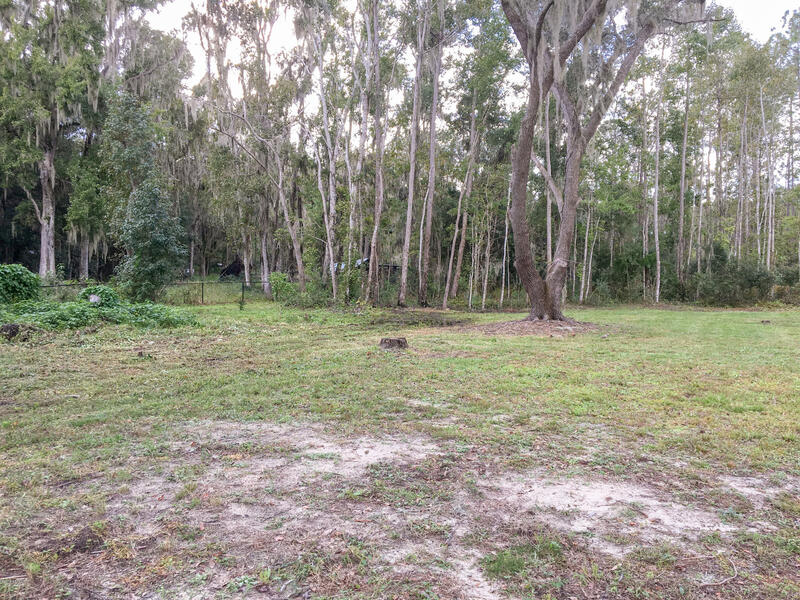 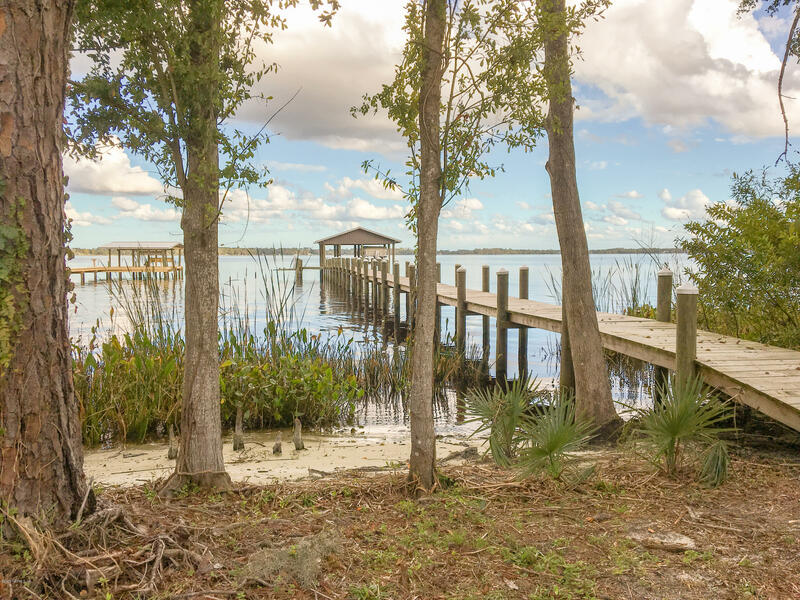 Fantastic river front buildable lot on the St. Johns River. 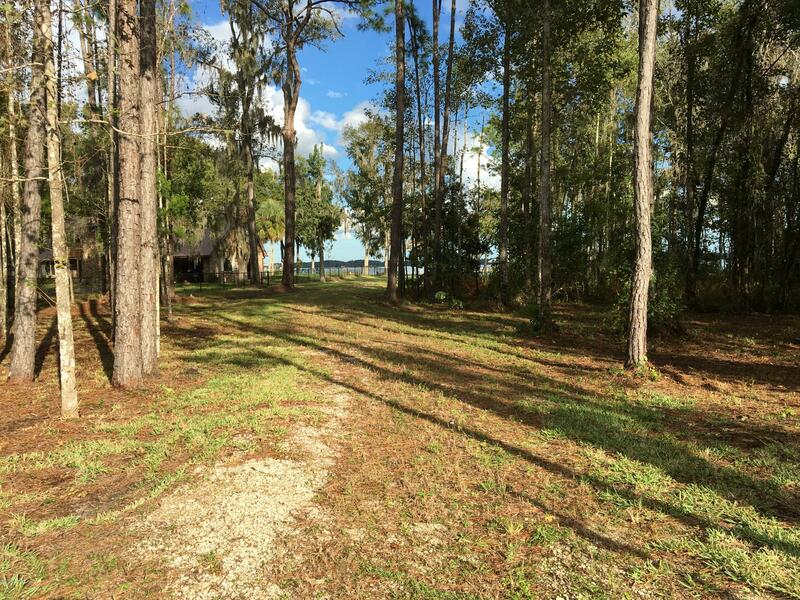 1.3 Acre Lot with 150ft river frontage. 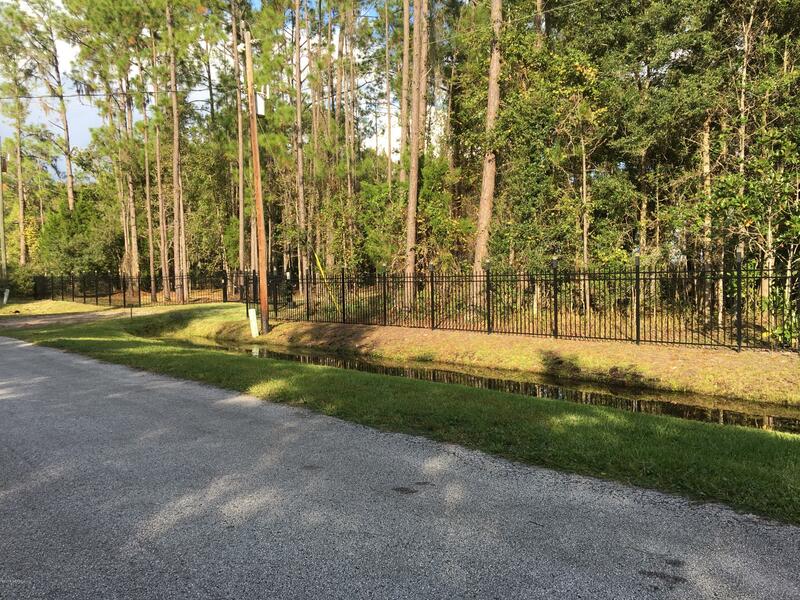 Black Aluminium 6' Picket Fencing and Gates provide an impressive entrance to this property. 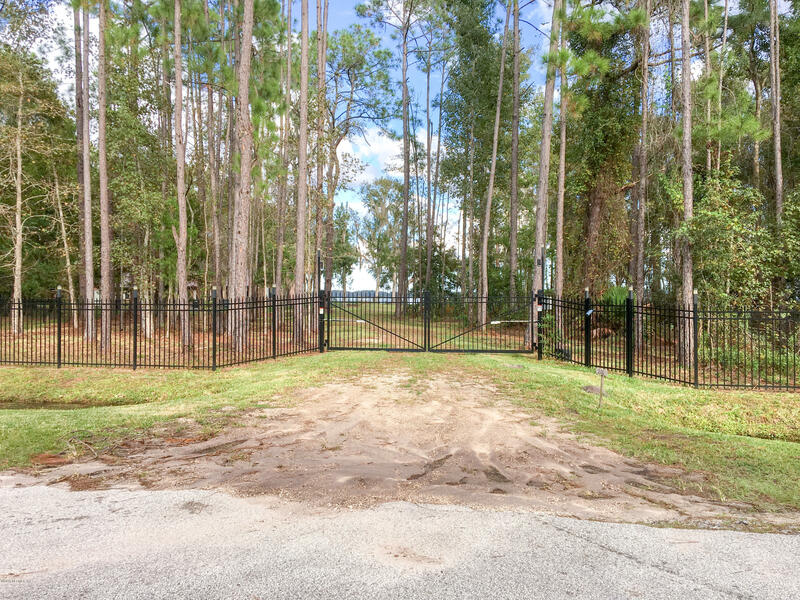 Driveway gate has a solar powered electric opener. 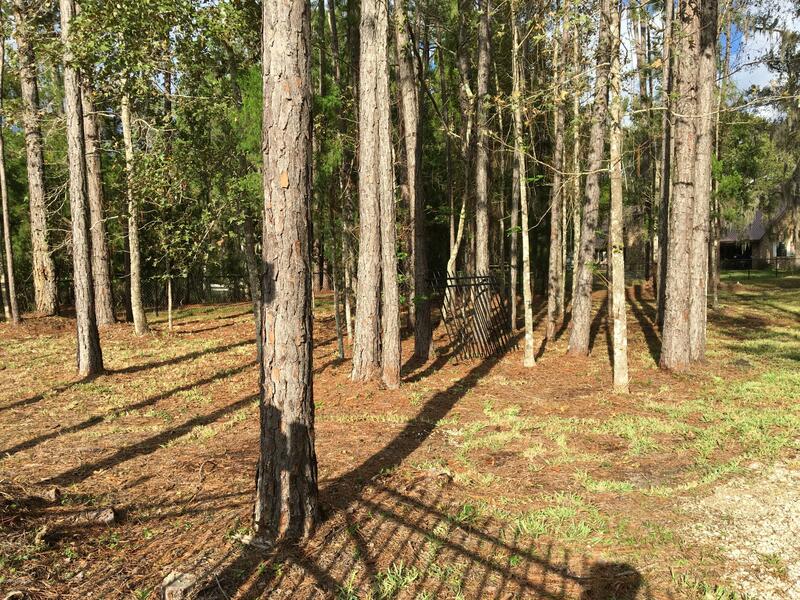 Also there are 4 ft chain link fencing with two man gates down both sides of the property. 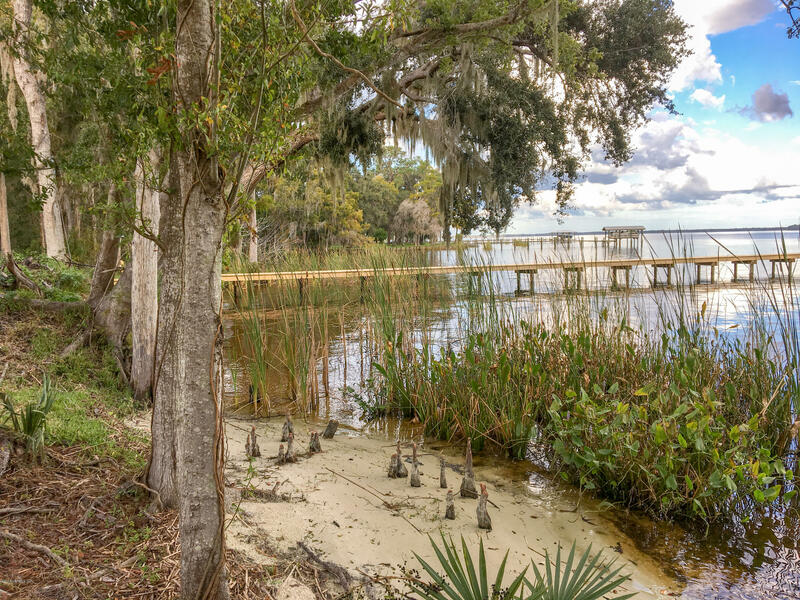 A Limerock base driveway leads to you to the St. Johns River. 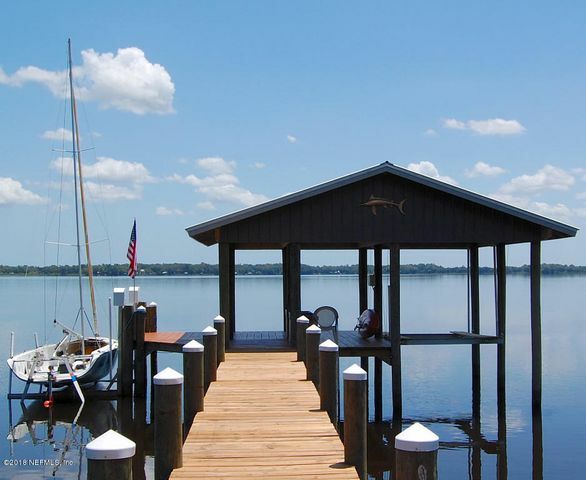 220 ft dock and ''T'' head covered and two electric lifts. 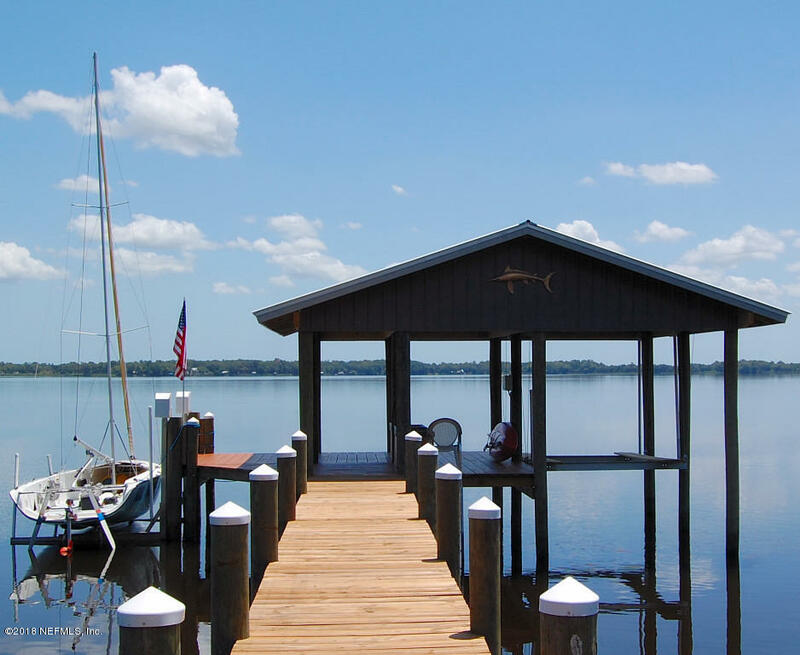 Dock and Boathouse were built in 2016/2017. 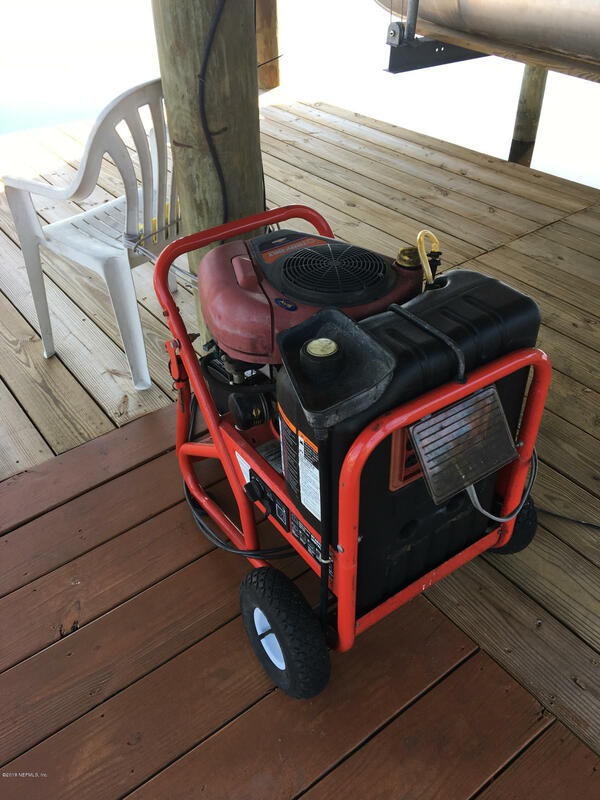 Lifts are operated by electric start 7.5 KW generator. 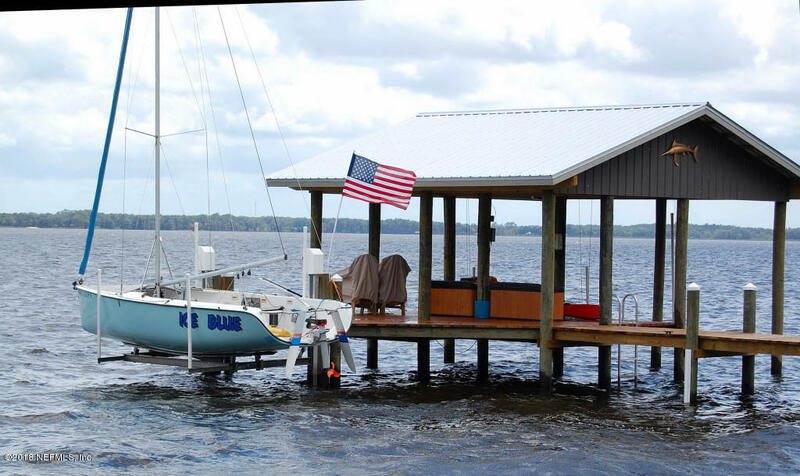 Battery is charged by 4-100 watt solar panels on roof of ''T'' head, Generator and Solar panels are included. 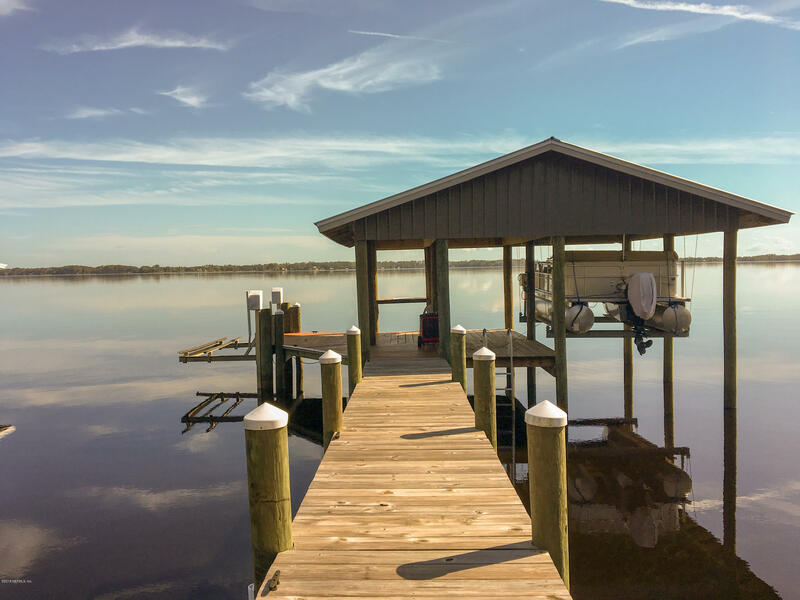 Pontoon Boat with Aluminium trailer are for sale as well . 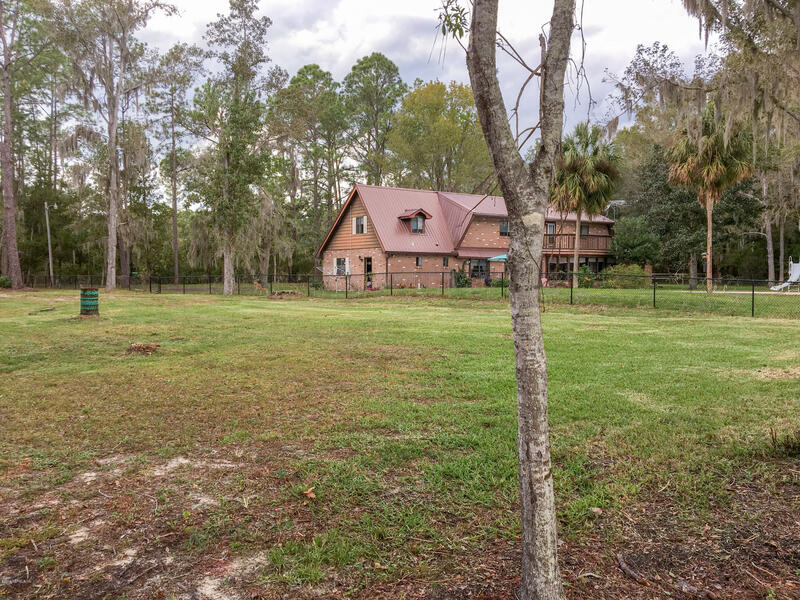 Bring your plans and build your dream home. 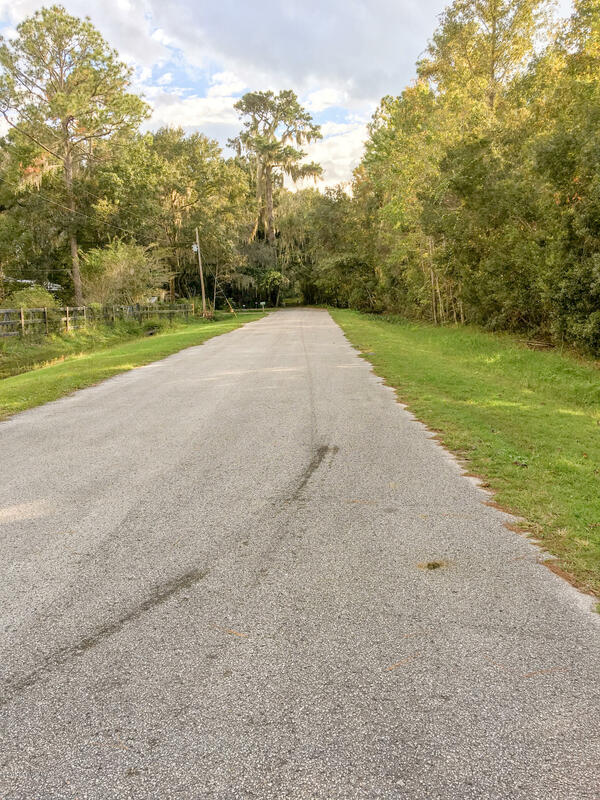 Directions: From Palatka: take SR 17 north, turn right on West River Rd, turn right on Bridgeport Rd, turn right on St. Johns Dr., property is on the left close to the end of the street.